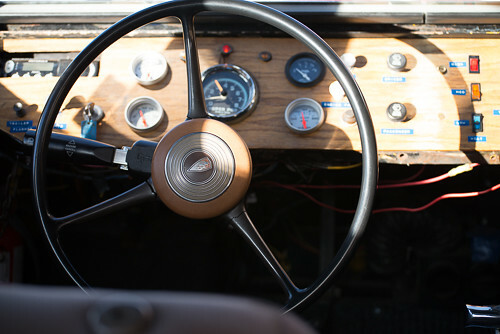 Dashboard of a vintage snow coach. Looking for a new camera? Yeah, me too. 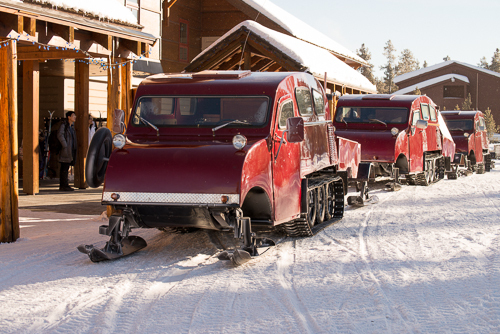 Retro snow coaches lined up in front of the Old Faithful Snow Lodge. 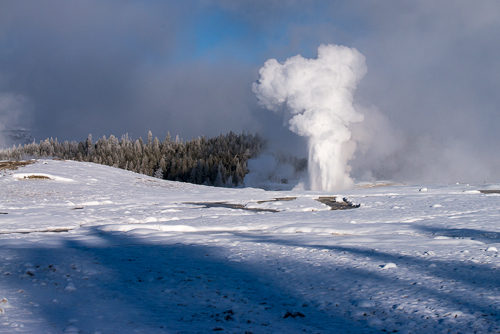 We saw a lot of geysers in Yellowstone National Park. From our snow coach, through the trees. 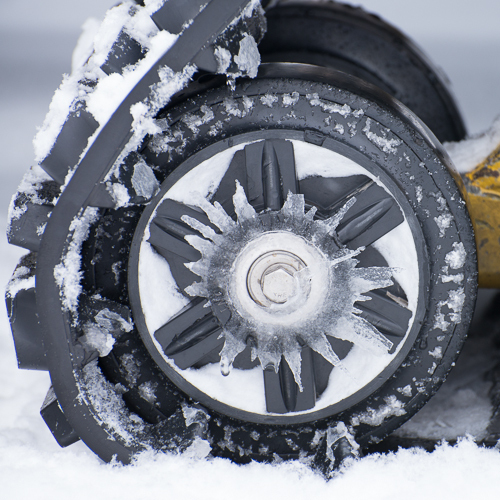 Detail of a tread of a modern snow coach. 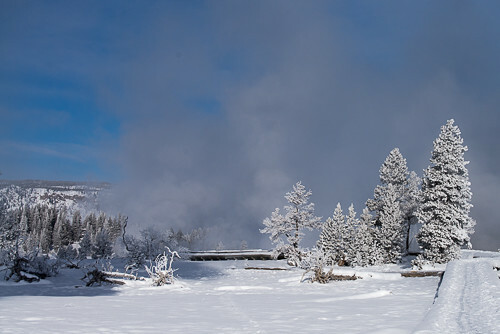 In Yellowstone National Park. And no, we’re not talking about a job title for a trainer for winter sports. 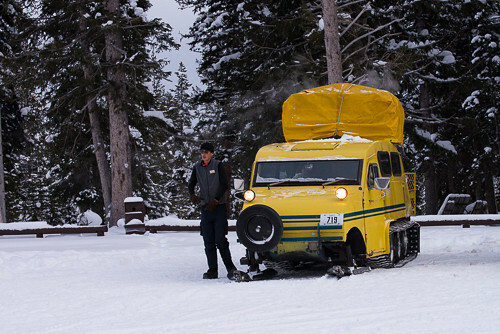 In Yellowstone in the winter, most of the roads are not passable by “normal” vehicles. You get around on a snowmobile or in a snow coach. There are a few different styles. The modern ones are vans with amazing tread systems developed by an 11 year old kid. Yes, really. But I like the cool, retro ones better. They look like they’re from the 1940’s, but are actually a (little) more modern than that. Made by Bombardier. 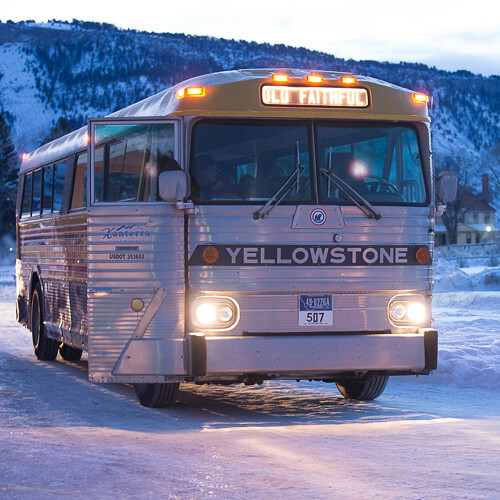 Over the New Year holiday, we took a trip to Yellowstone National Park — a first for all of us. We’d been to Denali National Park this past summer and loved it. 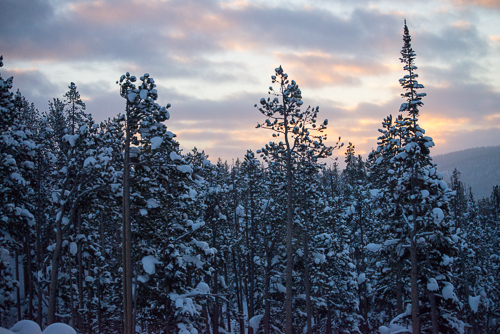 We were hoping to see beautiful winter landscapes and wildlife. We were not disappointed. If you go — and I’d definitely advise that you do — please take Moose Petersen’s advice and bring warm boots. It’s cccold there.